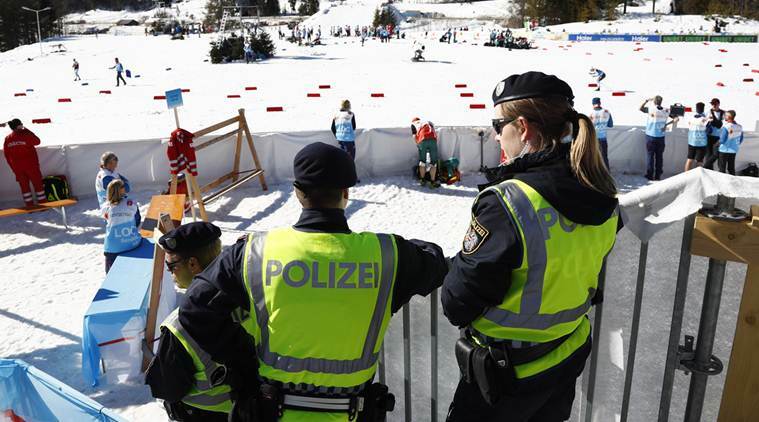 Austria's Federal Police Office said the raids targeted ``a doping network operating worldwide'' and focused on Seefeld, where the championships are taking place. Five elite athletes and four others were arrested Wednesday in doping raids in Austria and Germany amid the Nordic skiing world championships. One athlete was caught “in the act,” the FPO’s Dieter Csefan said in comments reported by the Austria Press Agency. “He was picked up with a blood transfusion in his arm,” Csefan said, adding the alleged doping ring was likely involved in other sports, too. The athletes arrested weren’t named, but two of those arrested were described as cadets in the Austrian police and part of the country’s national cross-country ski team.